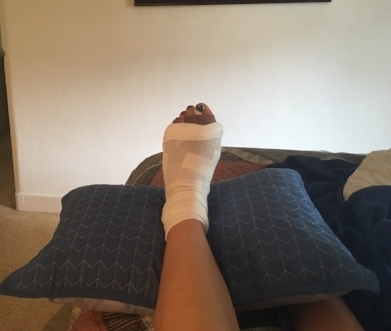 An injury brought me to yoga. For that reason, I’m almost grateful I slipped and fell on black ice one day and busted my back. If I hadn’t, I might have never been introduced to the practice. Nine years later, I’m down for the count yet again. I’d been avoiding an inevitable foot surgery and finally decided that it had to be done. Honestly, my foot finally decided it for me. 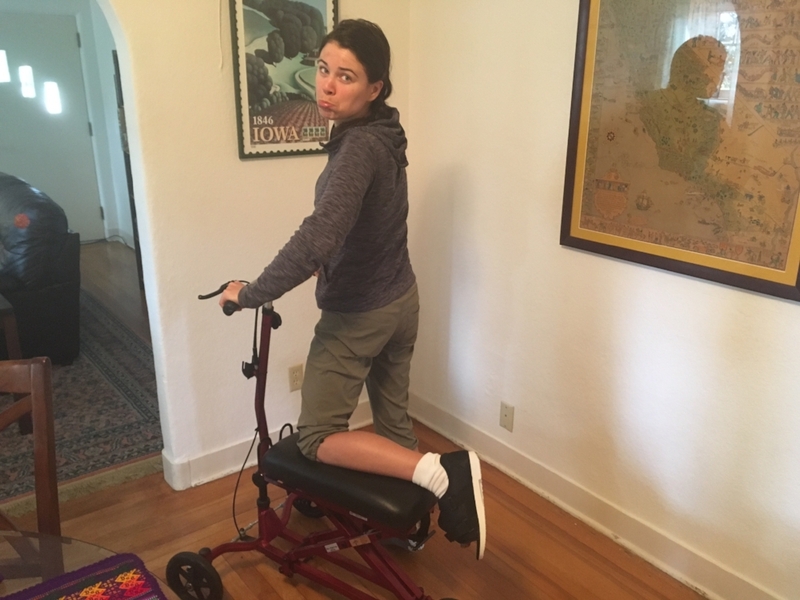 Years of running, jumping, and sheer awesomeness exacerbated a condition to the point I could no longer walk normally let alone run. Forget rolling over my toes, doing proper planks, or high lunge! Looking at my X-ray my doctor told me I had the foot of a 70 year-old woman. I regret none of it. Despite the foot problems, my active life has brought me so much joy, a strong heart, powerful lungs, and healthy bones. It’s only a day after surgery, and I have at least three months of recovery to look forward to. “Recovery” can mean a lot of things, but to me it means at three months I’ll be able to try a little jog again. Years ago this kind of setback would have sent me into a downward spiral of depression. I needed to feed my endorphin addiction, and I had no way of coping without it. Yoga has provided me ways to handle these types of obstacles. From a physical standpoint, the benefits of my asana practice have never been more evident than post-surgery. I can hop and balance on my good foot around the whole house, I’m able to bend and twist in funky ways in order to dress myself, and I’m in tune with my body enough to be able to distinguish real pain from discomfort. And believe me, I’m definitely going to use this experience to revisit my breath work and seated postures. The real challenge is mental and this is when yoga truly begins. These are the limbs that 22 year-old me shrugged off and ignored. These crazy Sanskrit words and yogi ideas were for the gurus. Running was my moving meditation, and I’ve experienced my own samādhi, sometimes known as the “runner’s high.” I didn’t need anything else! I was so wrong, and it’s taken me a few years to accept that. I’m not sure I’ll actually reach the absolute bliss of samādhi given the physical distractions of my foot, but now I have the luxury of finding pratyāhāra by taking extended savasanas (corpse pose) and hopefully move through dhāraṇā into a state of dhyāna . I’m looking forward to working on this with our own meditation and yoga nidra expert, Bernie. Not too stoked on my new wheels yet. Just like my back injury brought me to my physical practice, I’m hoping this new injury brings me deeper into my mental practice. Follow along as I chronical my progress over the next few months!